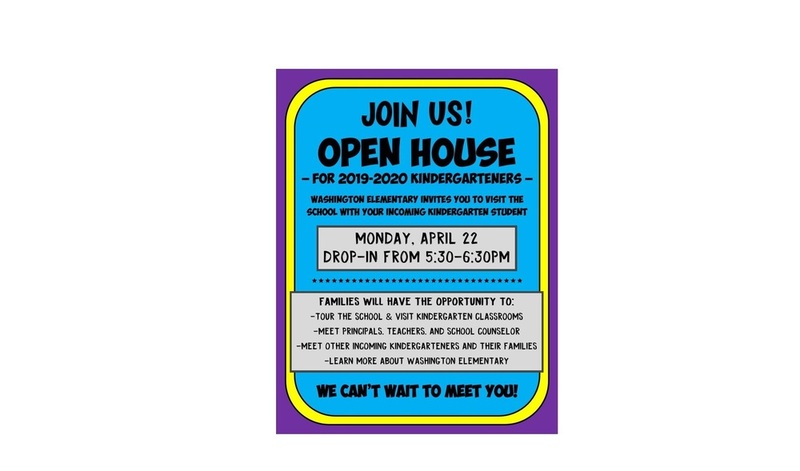 Washington Elementary School invites the community on May 18th, noon to 5 pm, to Tour 5 homes within Washington Elementary's School Zone and Washington Elementary School. Tickets purchased prior to the event are $20 are are available at Washington Elementary, Gift House Antiques, French Metro Antiques, and The Bank of Fayetteville - Downtown. 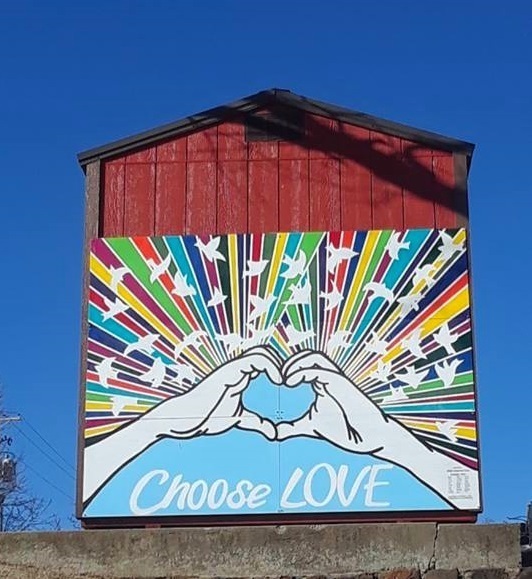 Tickets can be purchased the day of the tour for $25 at all of the homes participating in the self-guided tour as well as French Metro Antiques and Gift House Antiques. Tickets may also be purchased online at: https://www.eventbrite.com/e/washington-elementarys-16th-annual-tour-of-homes-tickets-58380524721 All proceeds benefit Washington Elementary School. Online ticket purchasers may redeem their paper tickets at any one of the Tour locations. We home to see you there! 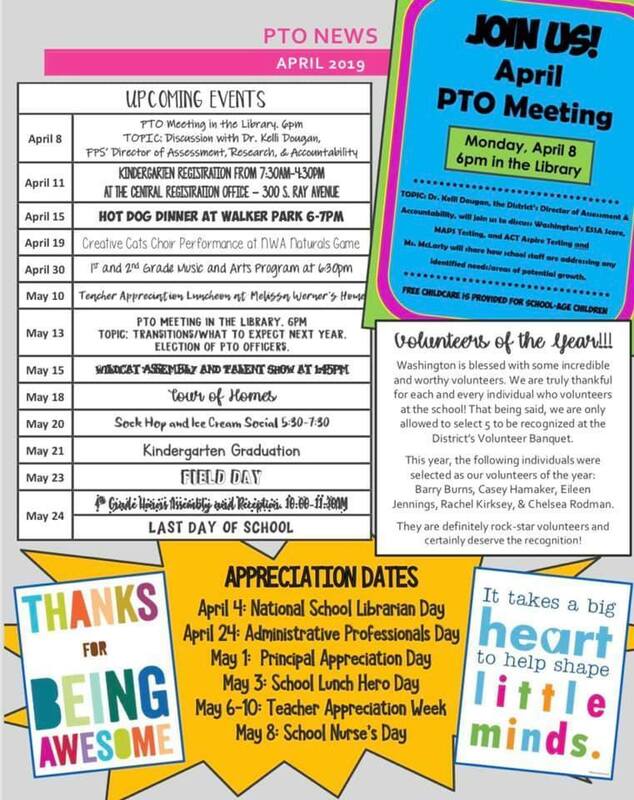 Parents and Friends of Washington! 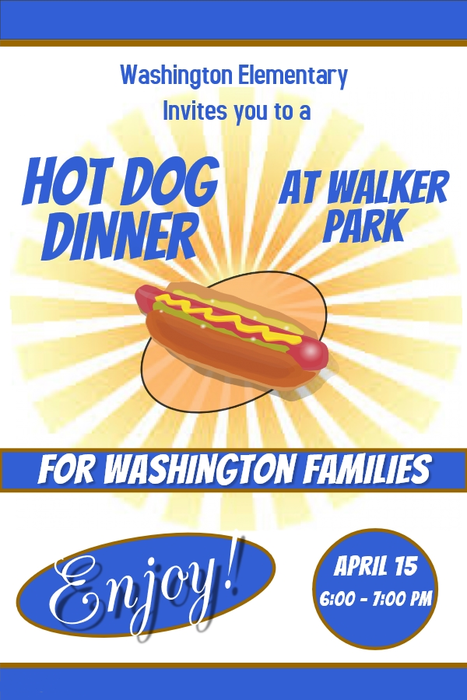 We hope you will buy a ticket to the Naturals Baseball Game scheduled for April 19. 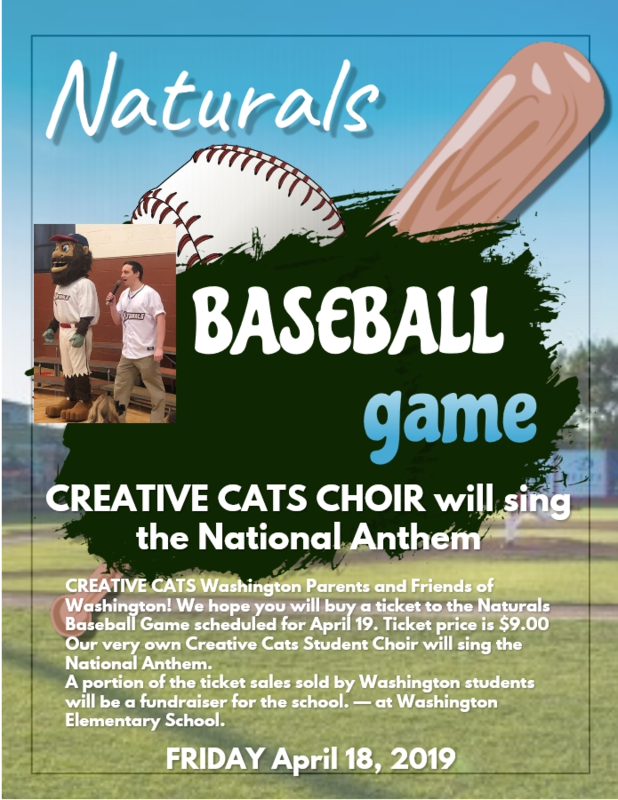 Ticket price is $9.00 Our very own Creative Cats Student Choir will sing the National Anthem. A portion of the ticket sales sold by Washington students will be a fundraiser for the school.